If you have been working with ecocabinets to design your ideal kitchen space, one of the key elements to consider is your kitchen tapware. We can provide advice on the best kitchen tapware to set off your kitchen design and meet your needs. Through our extensive design experience and network, we are up-to-date with the latest kitchen tapware trends and products, as well as eco-friendly options. ecocabinets can help source what you need, whether you are looking for water-efficient kitchen tapware, a unique finish or cutting edge design. We believe kitchen tapware should be both attractive and functional and can help you achieve this for your commercial or residential space. 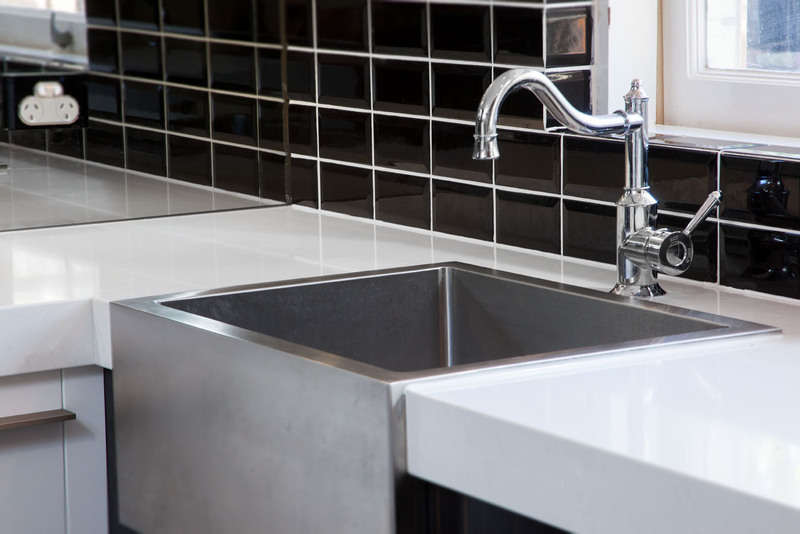 There are some key factors to consider when selecting your kitchen tapware. Ask yourself what functions are important to you. Is it likely to splash the user and can you adjust the direction of the water flow? If you use large pots and pans or oven trays, you will want to choose kitchen tapware that allows you to clean these items effectively. Some of the latest kitchen tapware includes everything from sensor operation, timed flows, self-closing tapware, and push-button operation. What is your style? 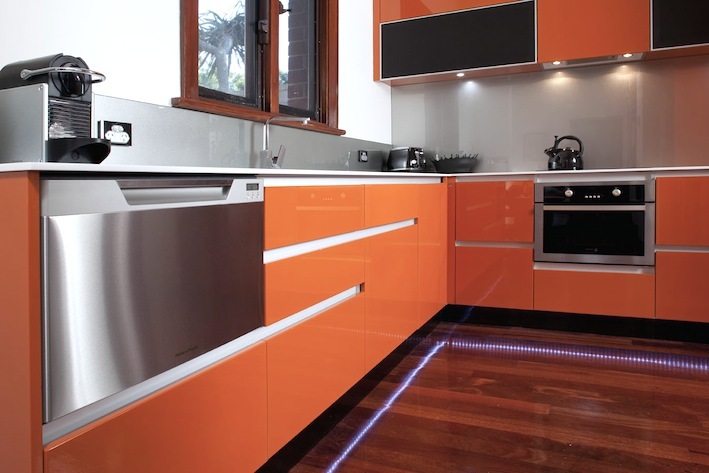 Do you want kitchen tapware that makes a statement or would you rather have something that blends in with your design? Would you like brushed stainless steel, brass, gold, polished chrome, coloured tapware or another type of finish? Is your kitchen contemporary, industrial, retro or another design? Mixer systems have a single tap or lever to control and deliver both hot and cold water from the same spout. Other types of kitchen tapware have separate hot and cold taps. Your decision about whether to install a mixer may come down to the space you are mounting it, or personal preference. 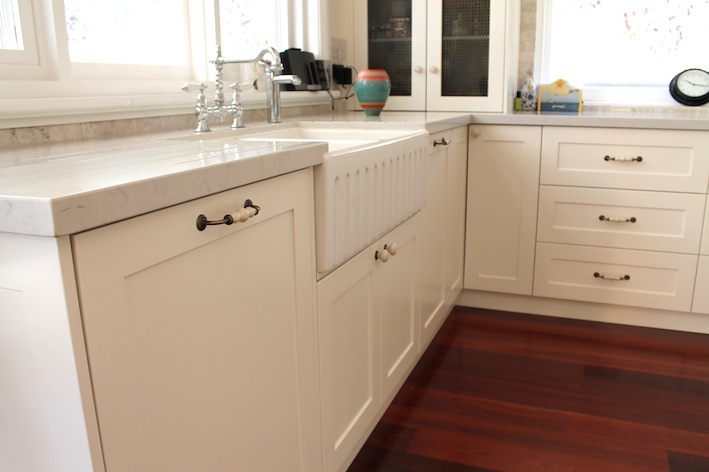 Quality is important not just for the appearance of your kitchen tapware but how long it lasts. Skimping on your tapware may result in your kitchen looking worn and dated sooner, and even lead to tapware failure. We can work with you to select high-quality kitchen tapware that provides the best value for money. For more information on the best tapware for your kitchen, kitchen design or bathroom renovation projects, contact us today.